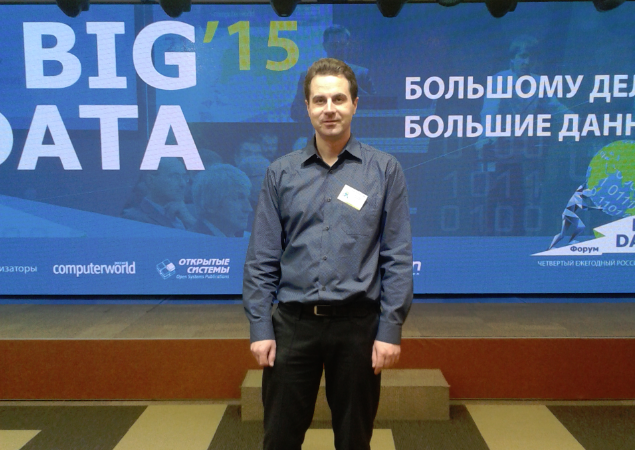 Big Data Forum 2015 in Moscow was a great event. As usual I talked about Hadoop for Data Warehousing. Oracle team was on the conference, but they did not present anything for some reason. Also Surgutneftegas (Gas and Oil) said that they are quite happy with SAP HANA. Among customers there were a lot of banks, communication, gas and oil and other big Russian enterprises. It is much more interesting that neither Cloudera nor Hortonworks participated at this quite large conference. Big Data is for Big Business and Big Vendors in Russia? Computerworld article about the event: Big Data Forum 2015 (in Russian).